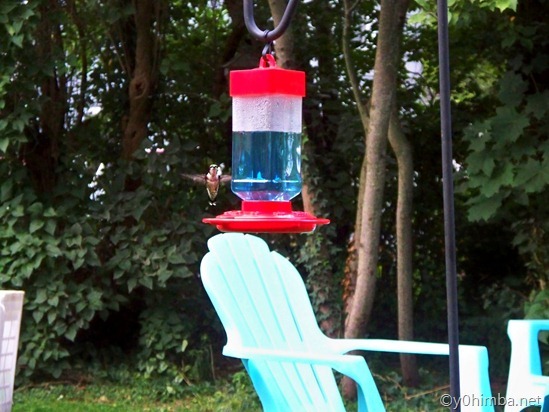 We have had several Hummingbirds visiting our backyard. I was finally able to get a decent photo of one. Mind you I don’t have a very good eye for photography, I am not very artistic, but I finally caught a clear shot.